Visit all the designer's blog hop post and leave them some love. 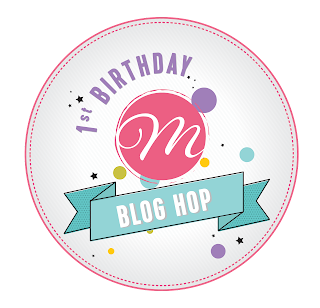 After finishing the blog hop, add your name in the inlinkz in Mudra Blog Hop Post. 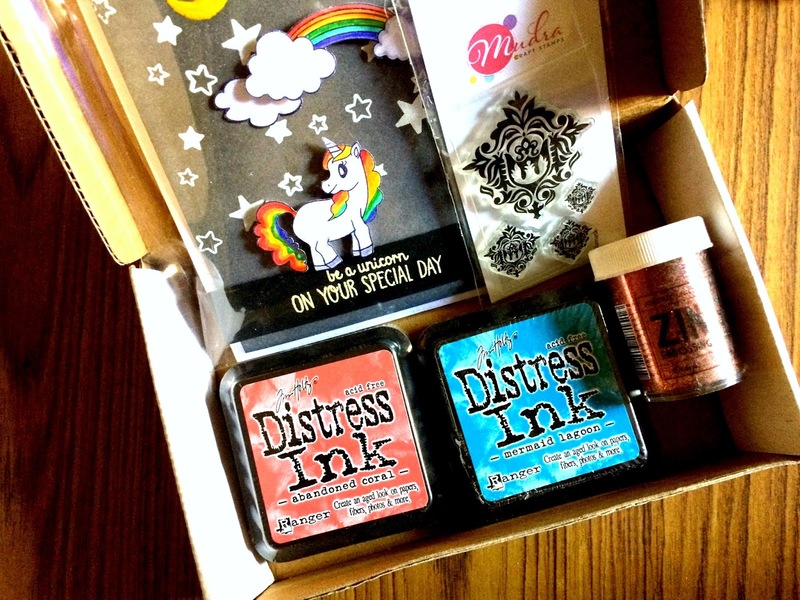 PRIZES: To celebrate, Mudra is giving away a beautiful pack of crafting supplies from Mudra to 1 WINNER, selected randomly from the comments across all of the blogs in the hop. You have until Wednesday, March 15st at 11:59 PM IST to enter, and the winners will be announced here on Monday, March 20th. If you have come from Deepti Stephens you are on the right track. You can check out the complete list of participating blogs on the Mudra Blog. 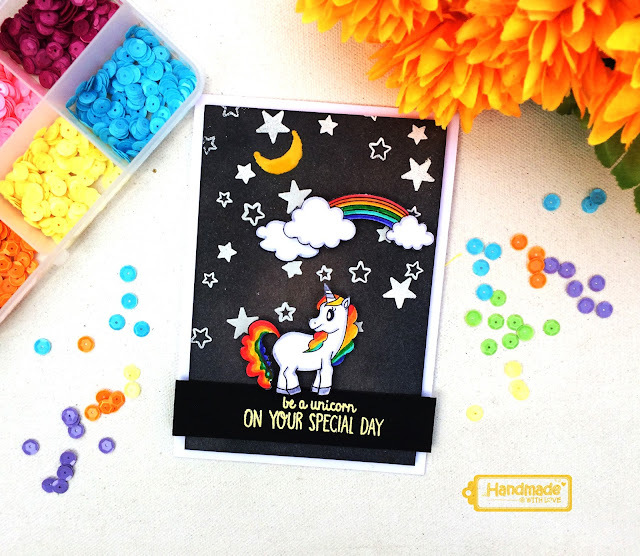 For today's post, I thought it would be fitting to use the recently released super cute stamp set "Stay Magical" and I also have the process video to share with you all. The unicorns in this set are so sweet and I really had fun working on this card. Your next stop on the hop is the very talented Mirella Rogan! I will pick a winner on 10th March 2017! Thank you for stopping by and I hope you have a great day ahead! Love that gorgeous rainbow unicorn Ujjwal - so much fun. Your work is so beautiful!! I learn something new every time when i saw ur work & inspired me very much. Beautiful and so magical Ujjwal :) Love it!! Beautiful card, Ujjawal! Very Generous giveaway too! What a gorgeous card! Such lovely colors of this unicorn. Love it! This is stunning..and thanks for sharing the video. Beautiful it is !!! The unicorns have popped out gorgeously. I love that beautiful unicorn..such fantastic coloring...watching your videos is so fun..Love them. Keep the videos rolling..
Beautiful card ujjwal,love the rainbow colors against black BG. Love the colouring on the card!!! Absolutely awesome!! Cute card! Love your unicorn and great video too! Great job! The rainbow unicorn - mesmerizing. It does look really magical dear.... The dark background helps the unicorn pop up!!! Such a fun looking card Ujjwal!! The colors just pop on black bg.. looks very nice! Wow.. thats a gorgeous unicorn.. I must tell you that Am so happy to have come across your instagram page and the word of creativity that unfolded! I rarely see you do dark colours - this one has turned out so wow! with nice pop of colours! Beautiful and magical ! Love the pop of colours against the dark background. So striking. ! Love the colorful Unicorn against the black background! Loved the background! Happy First birthday to Mudra! wow beautiful card. 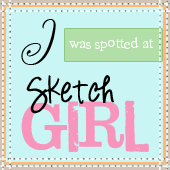 loved this stamp its in my wish list. thank you for sharing video. and giveaway too. that 's a lovely card Ujjwal,I enjoy your videos !! So cool! Love the rainbow unicorn! What a creative card. Love the bright colors on the dark background. 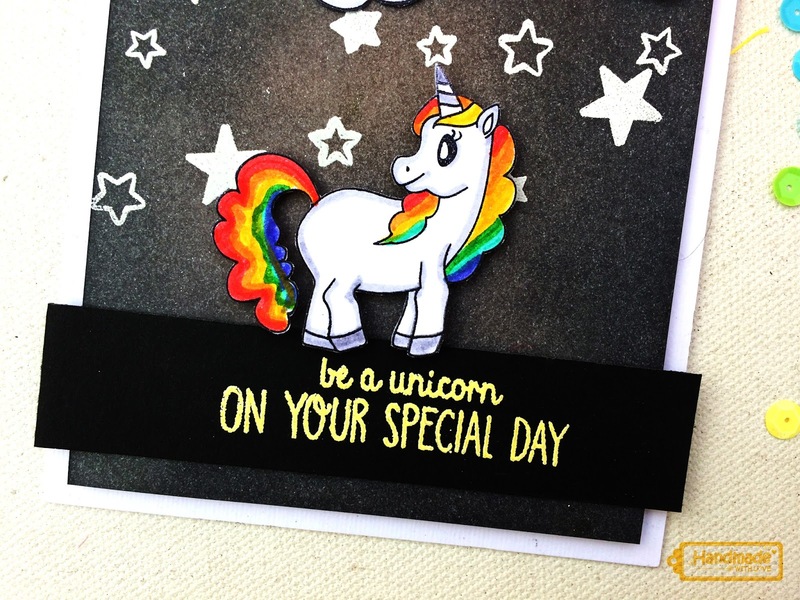 Wow, such a lovely Unicorn and a lovely card!! Loved the colorful Unicorn again the black starry night! 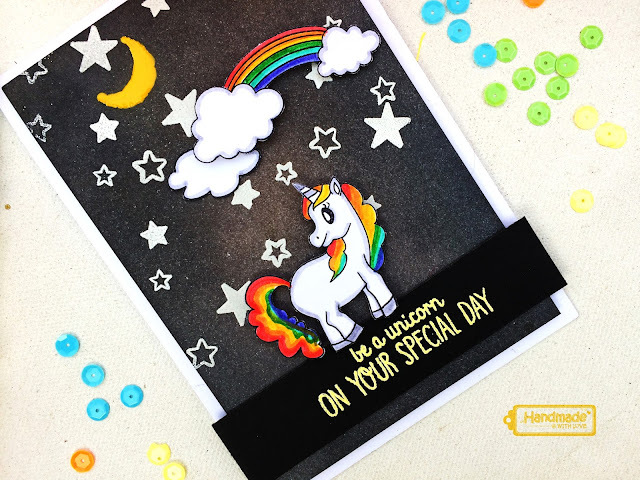 Such a wonderful card with unicorn!!! Loved the background you created!!! Cheers to the 1st birthday bash of Mudra !!! What a beautiful card.. height of awesomeness. unicorns are soo pretty. and ur unicorn on the black bg is soooo magical. all done and i already follow u everywer!! Love the unicorn! The card is fantastic! never thought of black background, when it comes to unicorn.....very nice concept.. I love Unicorns. Its so pretty. You surely have created magic with this card. Black is my favorite. And the card is adorable ujjwal. Such a cute card. Love the unicorn and your fantastic background. lovely card!!! the rainbow colored unicorn in background is brilliant.. Thanks for making the Blog hop so grand with your beautiful creation!! !